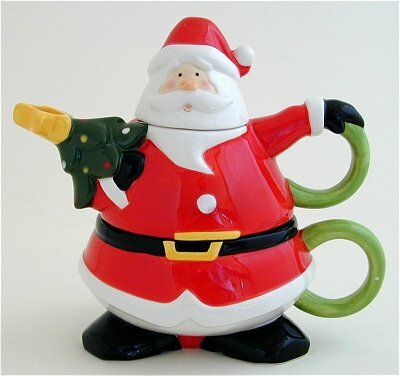 Very cute Santa who will put you in the holiday spirit as he is covered in Merriment with white lettered Ho Ho Hos all over him. 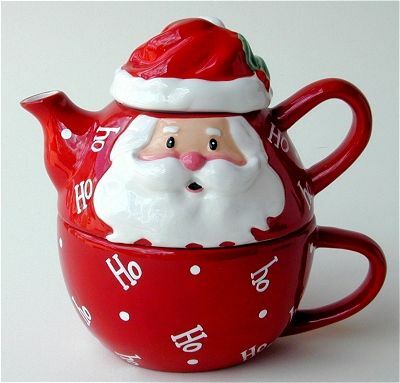 6 inches High, 12 oz Teapot with 14 oz Teacup. 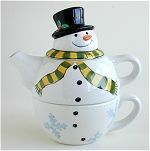 It will be interesting pouring hot tea from inside a snowman. You'll almost expect him to melt. Teapot top holds 16 ounces while the cup base holds 12 ounces. 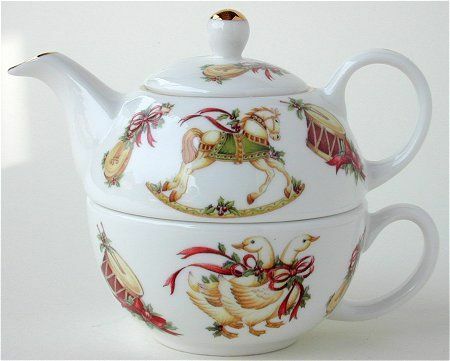 Fine Bone China Tea for One that we had made for our shop by Peter Gant in Stoke on Trent England. 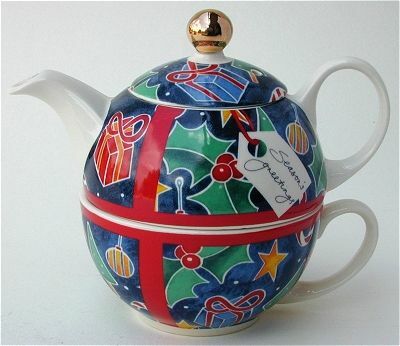 Toys encircle both the Teapot and the Teacup making for a very festive piece.